The Lion is no longer sleeping he’s rocking through the jungle with the group that gave you “The Lion Sleeps Tonight” and the countless hits that they’ve produced over the past 40 years such as “One Fine Day”, “He’s So Fine”, “See You In September”, “I Got Rhythm”, ”Tie A Yellow Ribbon”, “Knock Three Times”, “Denise” and many more. An evening packed with hit after hit, their comedic routines and audience participation is a sure winner. 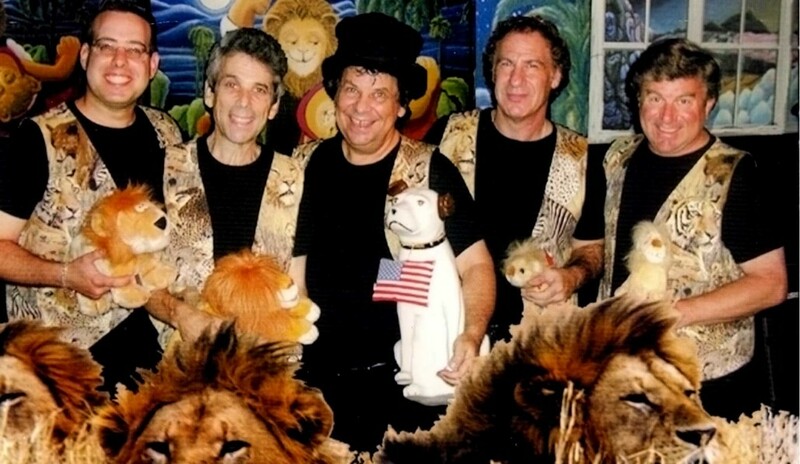 In 1961 THE TOKENS, four boys from Brooklyn, recorded “The Lion Sleeps Tonight” on the RCA label. The song (originally a Zulu folk song called “Mbube” Anglicized to “Wanoweh”) soared up the charts to become the number one hit in the nation. To date it has sold 15 million copies throughout the world. In a survey conducted by the National Endowment for the Arts and the Record Industry Association of America The Tokens #1 classic recording of “The Lion Sleeps Tonight” placed 159* in the top 365 records of ALL TIME!